ODVV - Iranian NGOs Petition in the White House Website: Terminate Sanctions! 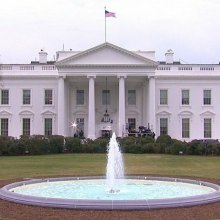 Iranian NGOs Petition in the White House Website: Terminate Sanctions! By registering a petition in the White House website, a number of Iranian NGOs called for the termination of all sanctions against the people of Iran. In an action by the Iranian civil society, a petition for the termination of all sanctions imposed by the United States of America against Iran was registered in the White House website. The petition reads as follows: Economic sanctions are unjustifiable acts that lead to widespread human rights violations. The United States’ 4 decades of unfair sanctions against ordinary people in Iran have harmed Iranians’ right to life, to self-determination, to development, and children’s right. The so-called recent “smart sanctions” have had significant negative effects on Iranian citizens, including a sharp rise in inflation, a rise in commodities and energy costs, destruction of the banking system, rising unemployment rate, and a shortage of necessary items, including medicine. Necessary explanation: after entering your email address in the above webpage, an email will be sent to you and you must click on “confirm your signature by clicking here” sentence to register your signature.